Your payment holds your spot in class. No refunds given due to preorder of class materials. In the event you need to cancel your attendance in class, a packet of supplies with instruction or links to photos will be given. 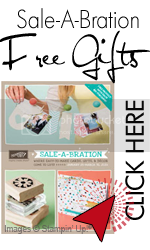 Have you seen all the fun new things available for FREE during Sale.A.Bration!? Here is your chance to try out the products and make some fabulous projects using the stamps, punch and Designer Papers featured in the Sale.A.Brations Catalogue! Come join us for our monthly workshop. Have fun making four projects while we share coffee and conversation. A great way to get away, take a break and have some me time. The Sweet Pea Stitched Felt flowers and Sweet Pea Designer paper are a HUGE HIT this spring…you will love the adorable projects you make using these new product! Winter is the perfect time to create a supply of all-occasions cards for the year. 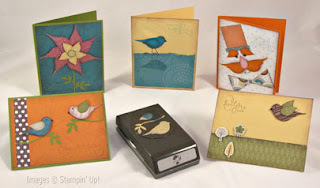 In this class, we will be creating 5 all occasion cards using products from our new 2010 Occasions Mini. I can’t wait to show you the new re-designed, two-step punch. You are going to fall in love with the easy to use, easy to store design. We just released a fantastic new 12” x 12” paper pack! Each Designer Series Paper Stack has 48 double-sided sheets. It goes perfectly with our Well Scripted occasions stamp set. Reserve your seat, you won’t want to miss this! These flowers are all made using the Big Shot and Stampin’ Up! Die shapes…you will be amazed at the wonderful designs you can create with fabric and these dies! 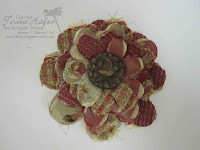 !Make several flowers for wearing on your lapel, on a bag, headband or barrette, writs band, etc. BRING: a glue gun with at least 5 glue sticks – HIGH TEMP glue sticks only. Low Temp will not work. Are you prepared for the Easter Bunny to visit?! Make ‘Bella the Bunny’ Easter basket, plus a couple treat containers with a couple of cards to share in this wonderful season. If you want to make more than one basket let me know how many you want to make and just add an additional $7.50/each. Make 8 cards with envelopes using the awesome Dots & Designs Rub Ons from our Stampin’ Up! Catalogue, and stamp sets from the Sale.A.Bration Catalogue. Details of this class will be available by February 15. You will find the details at www.thescrappinmama.com located in the calendar. I absolutely love all of our Simply Adorned Jewelry…it is SO in fashion…come to this class and make several “inserts” for any size of our Simply Adorned charms. If you wish to pre-purchase any of the chains or charms for this class, ask me about the class attendee discount. Details of this class will be available by March 15. 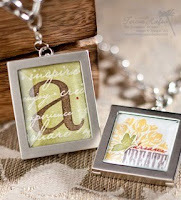 You will find the details at www.thescrappinmama.com located in the calendar. Get prepared for your summer evening dinners by using our recipe cards and our Al a Carte dinner invitations and settings all the while sharing one of my favorite recipes! This is also your last chance to order them and get prepared for your summer entertaining! I believe this is one of those special times of the year that really means a lot to me and I want to share that with you. 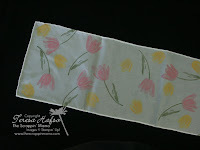 We are going to decorate a couple of scarves and make a couple of exclusive Mother’s Day cards for you to choose from and even use it to spoil yourself. If you would like to make an extra scarf add $12.50 each to the cost of the class. Can’t wait to see you there! Whether you are going to a wedding or going to have your wedding come take a look to see what we have to offer. Check out some of the projects, invitations, cards and while you’re here make some of them too! This also will be your last chance to order these products from the Idea Book & Catalogue before the new one comes out in July! Cost: $3.00/per card and/or $6.00/per Big Shot project. Pay at the Door! I am soooo excited about this Open House as the new Summer Mini Catalogue was launched at the beginning of this May. If you didn’t receive yours from me through the mail this will be a great way to get yours and bring your friends to get one also. 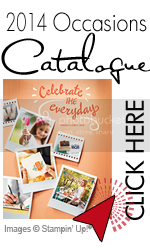 See what all Stampin’ Up! has to offer you this summer by looking at the products up close and personal. See the projects, cards and scrapbooking pages I have designed using them. Have some coffee, munchies and stay awhile to chat and play. Too much fun! Email OR call me with your choice of dates, and as always. No refunds given due to preorder of class materials. or mailed when you send postage of $6.95. wish to attend. Mail it to me with your payment. Thank you! *Just provide your card # and expiry date. I will shred all card info after processing! Well here it is like I promised ( a little late into the evening ) but it's up. I will have my calendar in the sidebar updated in a couple of days and the calendar on my business website also in a couple of days. I can't wait to see you at my classes, I will see you there! The one thing I can't stamp without! What a Weekend- how was Yours! I NEED MORE FANS AND FOLLOWERS! Quick & Easy ? You better believe it! Happy Birthday A A Milne--Vintage Vogue for you!